In the mid-1990s, I read The Road Ahead by Bill Gates and doubted his prediction that advertisers would one day pay consumers to spend our time viewing their ads via the new-fangled invention called the “World Wide Web.” Would cash become king when you wanted to engage people? I didn’t think the economic math could add up. If I spend an hour watching ads in order to be paid, I will expect a certain rate (for the sake of argument, let’s say $10). The advertisers would be paying me for the purpose of inspiring me to buy their products, but all I can spend is the $10 I earned from them, less any money I’ve spent on other products. It seemed like a zero-sum game with no winner, because the game would be based solely on the external motivation of payment. Fast-forward 15 years. In early 2010, companies still weren’t paying us to simply watch their ads. 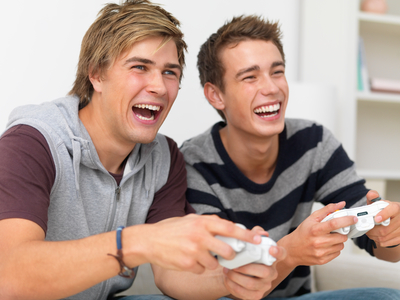 But author and Carnegie Mellon University Professor Jesse Schell predicted that companies and even governments would be awarding gaming points for watching their ads – and more significantly, for using and interacting with their products in meaningful ways, such as brushing your teeth for the recommended three minutes. Schell wasn’t making his predictions about the serious potential of games out of thin air. The Serious Games initiative had been underway since 2002. Bunchball had formed in 2005 and launched its gamification product in 2007. And in 2009, Facebook had demonstrated that gaming apps had a huge, global appeal for nearly everyone … not just junior-high boys in Western nations. For many people, the Orwellian implications of Schell’s predictions scared the dickens out of them (understandably). The mental image of mindless drudges who simply do whatever Big Brother and Big Business incentivize us to do is a dark picture. But other people decided Schell was on to something. The “point” of his vision was not the gaming points. The point was designing systems in a way that injects fun, feedback, flow, and friendly competition into products and activities that already have intrinsic value for us. Even in a gamified world, most of us wouldn’t brush our teeth simply to gain an immediate reward. It’s something with intrinsic value; we know we should do it, and we even want to do it. But some of us could use a nudge to do it regularly and thoroughly. However, as any of us with kids know, a nudge that is too extrinsic (such as paying them an incentive each time they brush) works only temporarily at best. And from a commercial perspective, it would be zero-sum – Colgate couldn’t pay enough to my kids to use enough Colgate toothpaste to be profitable. But by making brushing a little more like a game, Colgate could increase the intrinsic value enough so my kids would voluntarily engage in this healthy activity. It’s no longer a zero-sum model, because value for the kids is being created as they enjoy the game. They participate because they want to. And money is being spent on Colgate products that came from the parents’ value-creating activities (working), not from Colgate itself. Use gamification more broadly – not with points, badges, and leader boards, but with fun, feedback, flow, and friendly competition (which I’ll explain in a future post). Use gamification as one method of increasing engagement in something that already has intrinsic value for the user. It should be a nudge to do something or to engage more deeply in something they already want to do. Use gamification not as an extrinsic motivator, but as a means of enhancing the intrinsic value. How can you make it fun to get clean teeth? I hate watching commercials – most of the time. Bill Gates could not pay me to waste hours of my life watching them. During the Super Bowl, however, I love watching commercials because most of them have been created to have significant entertainment value (fun). Furthermore, I want to see and tweet about and interact in some of the friendly competitions that happen throughout the Super Bowl, such as Doritos’ annual contest featuring user-created ads. Bill Gates does not need to pay me to watch Super Bowl commercials. It’s a game that’s no longer zero-sum. Online course: This course taught by Kevin Werbach from University of Pennsylvania teaches the mechanisms of gamification, why it has such tremendous potential, and how to use it effectively.